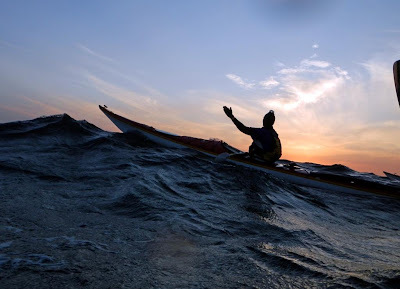 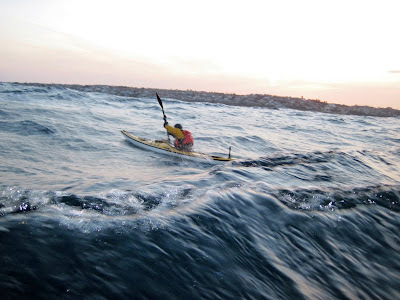 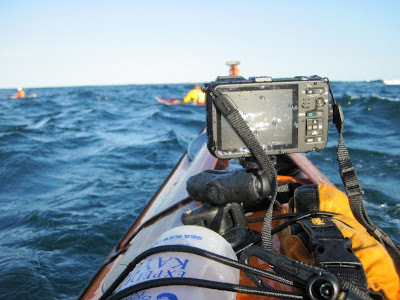 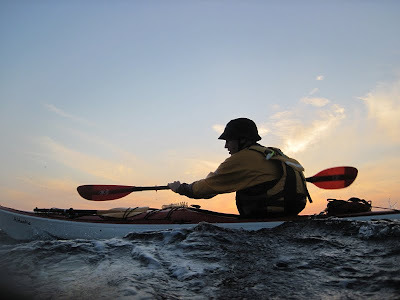 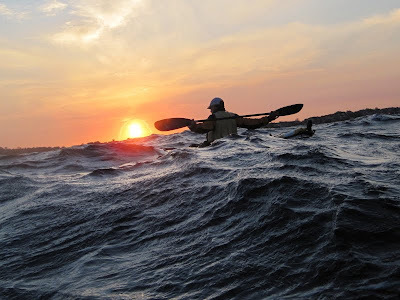 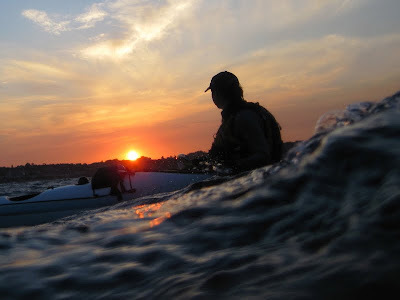 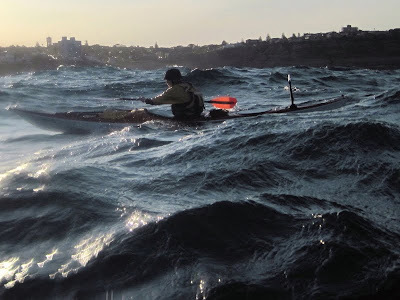 Below is a scrapbook of images from this weeks Tuesday night paddle from Watsons Bay to Malabar. 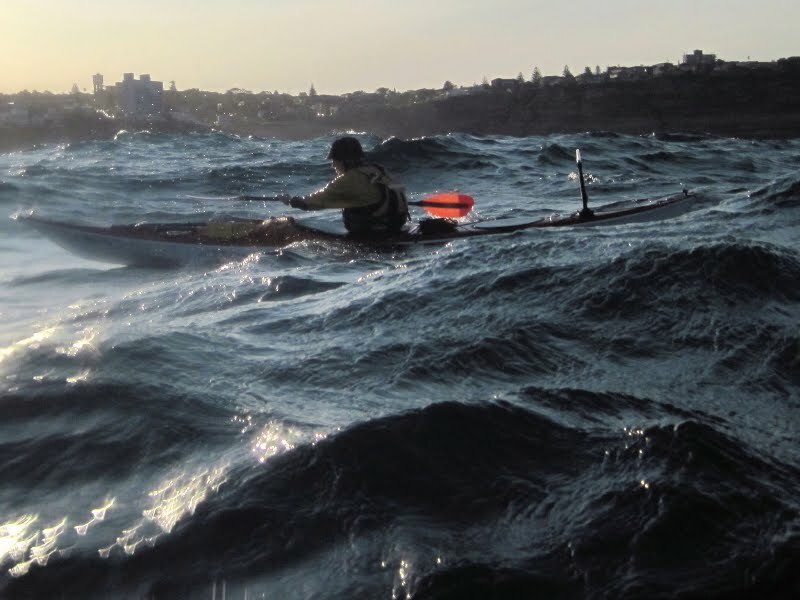 A brisk Northerly gave us a steady push and multiple runners combined with the stunning evening light to make the car shuffle worthwhile. 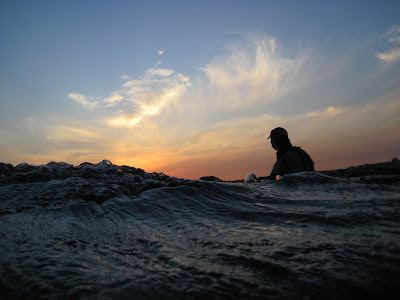 As we surfed along the coast I occasionally caught a glimpse of car headlights along the beachfront or a TV set flickering through the window of a clifftop house and I was struck by the contrast - our small group out among the wilderness of swells and waves while the vast human energy of Sydney kept humming, oblivious to the other world just beyond the line of cliffs and beach breaks.